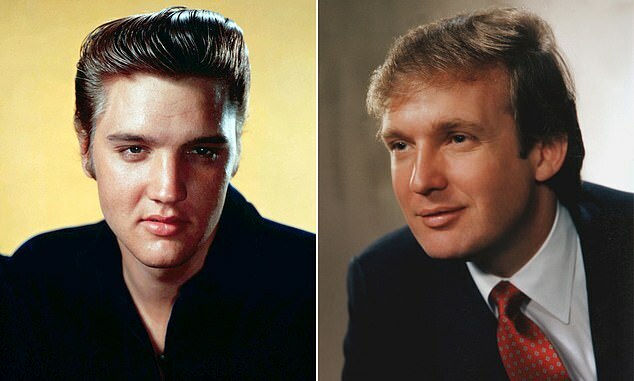 President Donald Trump told a crowd on Monday in Mississippi that he was favorably compared to rock legend Elvis Presley in his youth. Trump, 72, was campaigning in the King of Rock and Roll’s hometown, Tupelo, when he brought his likeness to Presley up. 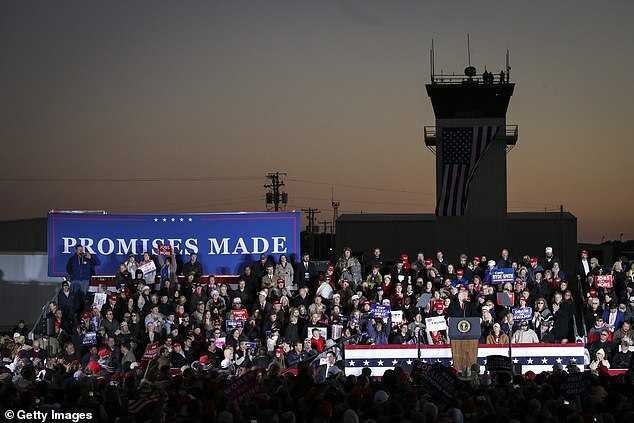 Trump is delivering remarks at two rallies on Monday evening in support of Republican Sen. Cindy Hyde-Smith, who was forced into a run-off by her Democratic opponent on Election Day. At the first, he brought up the town’s favorite son as he declared, ‘I am thrilled to be back in Tupelo. I love Tupelo. All the thousands of hard-working American patriots. And the proud birthplace of the King of Rock and roll, Elvis. ‘Elvis! We love Elvis,’ he said before bringing up the similarities he was said to share with the iconic performer. ‘We love Elvis, don’t we? 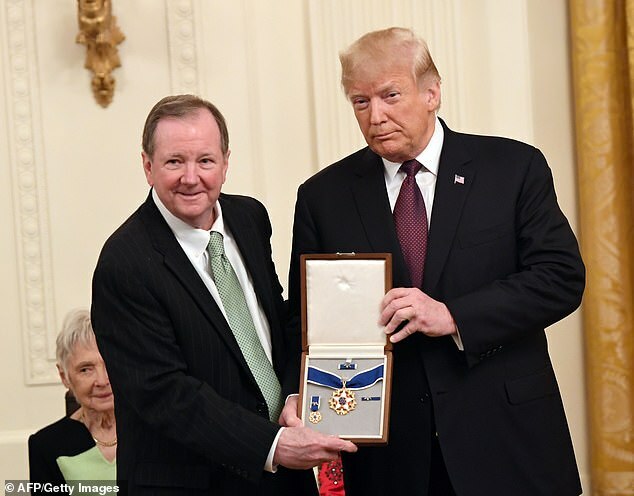 In fact we just gave Elvis the Medal of Freedom at the White House,’ he pointed out. In mid-November, the president honored Presley posthumously with the highest-ranking award that can be bestowed upon a civilian during his first-ever ceremony at the White House of its kind. He reminisced in the East Room event that ‘crowds were enraptured by Elvis’s ‘electric performances and unbreakable bond with his fans’ during his lifetime. Accepting the award on Presley’s behalf at the event President and CEO of Elvis Presley Enterprises Jack Soden. Trump did not make the comparison between himself and the actor and singer who passed away at Graceland in 1977 during the ceremony at the White House.